Spring is here and soon it will be more comfortable to enjoy the outdoors more again. Ærø is a tiny island, around a 3rd of the size of Als, which is part of the South Funen archipelago of islands. 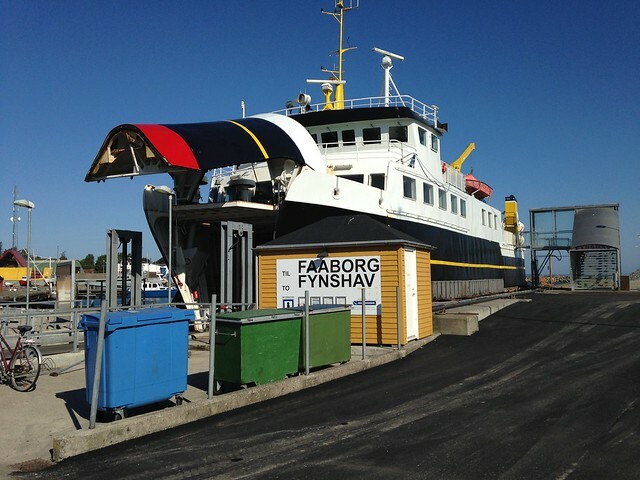 It is well connected to Als via a ferry leaving from Fynshav 2-3 times a day. Also, once you get there, due to its small size, it is easily manageable by bike or even on foot (especially with the help of the free bus service). But how would you plan your trip? Last year we went there for a two day stay. These are two route suggestions based on our trip depending on the time you have. For other routes read the last section. Taking the early ferry at 7:45 ferry from Fynshav (every day except Sundays and public holidays), arriving in Søby, in the north of Ærø at 8:55, means that you can get a decent amount done in one day. The route is 16km from Søby to Ærøskøbing and if you loop back on the bike it is 36km. If 16km is enough for one day you can take the bus back to Søby. If you are doing the trip with turist-erria (as we did), grab the picnic lunch from Cafe Arthur just next to the ferry and get on your way. From Søby cycle down cycle route 90 to Ærøskøbing along the east coast, getting great vistas over the Danish Baltic seas and the Ærø countryside. This is around 16 km and should take 1-2 hours at a leisurely but reasonable speed. Once in Ærøskøbing park your bike and have a walk around town, to enjoy the town landscape kept intact since the middle ages. 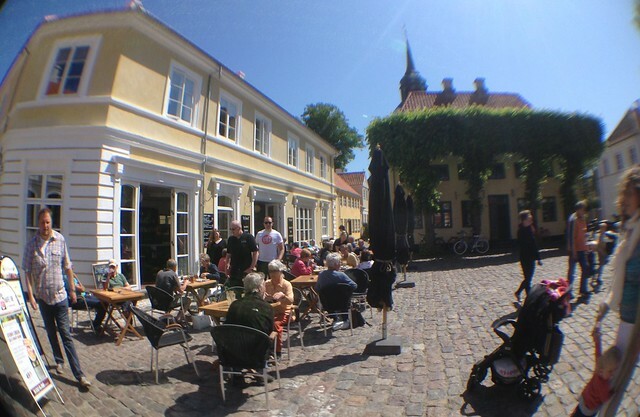 Grab lunch here in the centre of town – we had a really good lunch at På Torvet right in the centre of town. If you are not yet hungry (or you’ve had the picnic lunch) but want something sweet, ice-cream from På Torvet or Cafe Aroma by the harbour will probably hit the spot. After a quiet lunch/snack and a walk around the town, get back on your bike and cycle the 10-15 km to Marstal along cycle route 92. This route is much flatter than route 90 and although around half of it is on gravel road, most of that is really nice to cycle on. 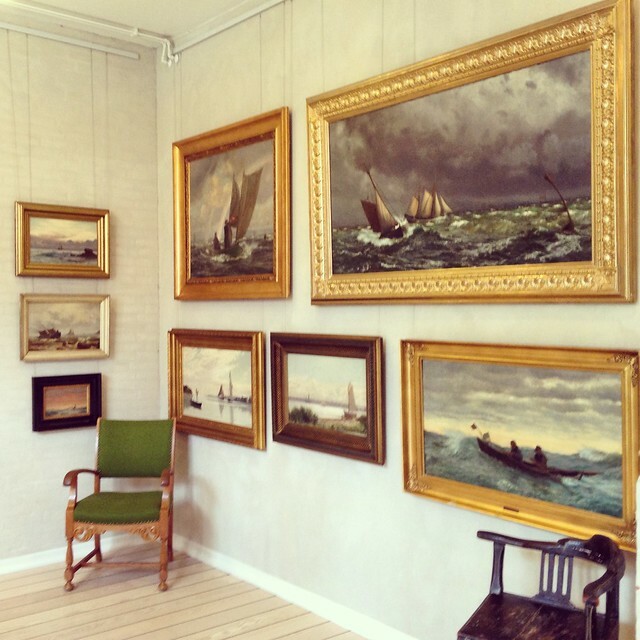 Once in Marstal, if you have time, drop in at the Marstal Maritime Museum close to the harbour or, alternatively into Marstal church, which has votive ship models attached to the ceiling. By now it is probably time to start thinking of getting back to the ferry. The best option to get the most out of your time is to take the bus at 16:08 from the Marstal harbour, arriving in Søby at 17:00, just in time for the ferry at 17:10. If you are using bikes do be aware that the bus will only take 2 bikes on each trip. You are now back in Søby, ready for a restful trip back to Fynshav after a very busy day. Two days on Ærø will allow you to experience the island at the more relaxed pace the island is probably meant to be experienced. It will also allow you to walk rather than cycle if that is the way you want to unwind. If on bikes, start the trip as you would a one day trip, cycling from Søby to Ærøskøbing, stopping at pretty locations along the way for a rest, a picnic, or a quick look around the various shops and stalls set up along the way. 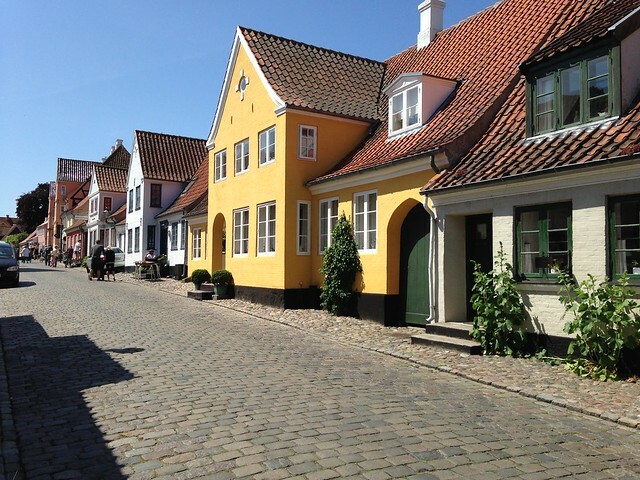 Once in Ærøskøbing, rather than quickly rushing off to Marstal, we would recommend spending the night in Ærøskøbing, which is the prettier of the two. By now you are probably in need of a well-deserved break, so have a drink and a leisurely lunch, before checking in to your accommodation. We stayed at the holiday accommodation offered by På Torvet in the centre of Ærøskøbing. Once you’ve had a rest go on an amble around town to get your orientation and learn more about the town. We used the plan as set out in the book Byens Rundt, which took us round most of the streets with information on what we were seeing. If reading all the book and seeing all the sights this will take around 2 -3 hrs, especially if you get distracted by all the shops selling pretty items in town. If it is good weather you can also go for a swim in the beach off Vestre Strandvej. 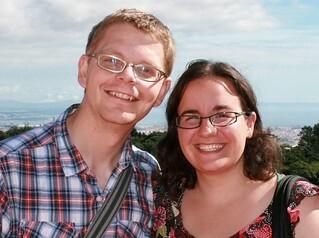 It was May when we went, but we still braved the ‘fresh’ experience! For dinner you have a number of options. One of the options is to have dinner in one of the restaurants in town. Alternatively, you can do what we did on the recommendation of Gunnar, the owner of På Torvet accommodation, and grab a bottle of wine and a picnic and go see the sunset on the beach next to the beach houses before collapsing into bed for the night. The next morning buy some rundstykke (Danish rolls) and pastries from the baker in town. Continue as in the plan for the afternoon of a one day trip, with a cycle to Marstal, which should take around 1 hour. 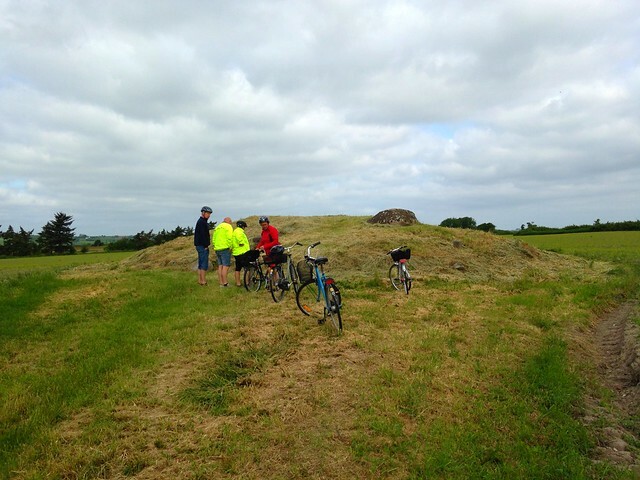 During the trip you can make a short detour at one point to see a stone age Jættestuen (burial mound), which we would recommend just for the experience. Once in Marstal you have the time to properly check out the museum, before having lunch. We had lunch in town, but for our next trip we have our eye on Fru Berg, a fish restuarant on the harbour. After lunch, grab a bus back up to Søby harbour, even though it is still a while till the ferry is meant to leave. From Søby cycle up to Skjøldnæs lighthouse, which is around a 5 km trip. This is the first thing you see on the ferry when approaching Ærø from Als, so is a fitting way to finish your trip. Once there you can go up to the top to see the views all around. The lighthouse is in a golf club and, if lucky, you may be able to buy an ice-cream or coffee from the club house. 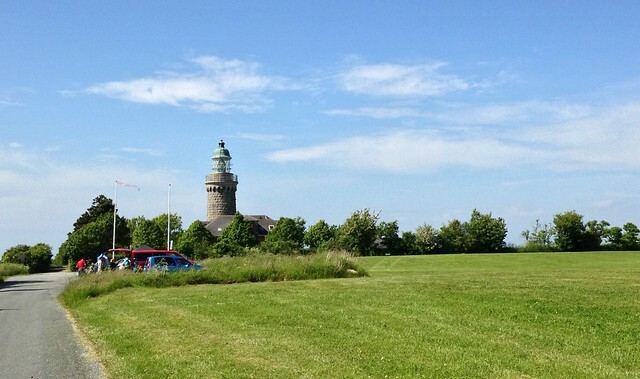 Cycle back to Søby where you can grab a hotdog or ice-cream at Cafe Arthur if you haven’t managed to buy one at the lighthouse and enjoy the last few minutes of relaxation before the ferry arrives. Our trip to Ærø was sponsored by Ærø turist (ferry ticket), turist-erria (picnic pack and books on Ærø) and På Torvet (accommodation and lunch). 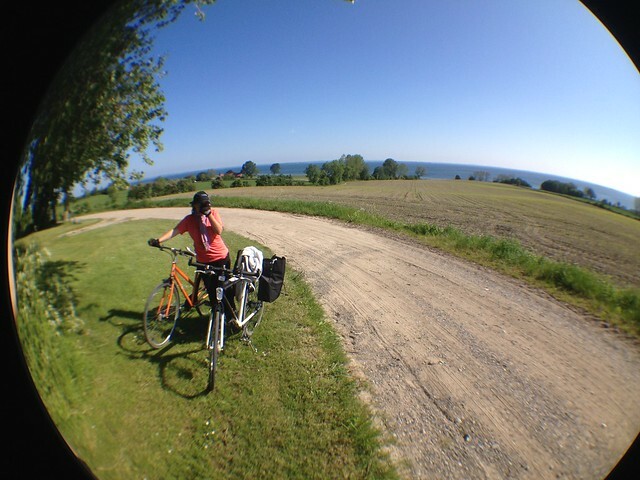 This entry was posted in Things To Do and Sights, Trips Out of Town and tagged culture, cycling, history, holiday, island, relaxing, tourist, trip, ærø by Ann. Bookmark the permalink.